There is yet another scandal involving Hillary Clinton, with the latest Reuter’s poll showing a drop in Democratic support for Clinton even before today’s scandal broke. First the latest scandal, then the poll. 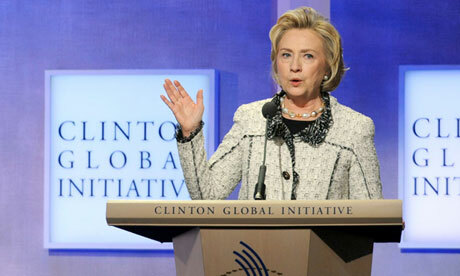 In 2008, Hillary Clinton promised Barack Obama, the president-elect, there would be no mystery about who was giving money to her family’s globe-circling charities. She made a pledge to publish all the donors on an annual basis to ease concerns that as secretary of state she could be vulnerable to accusations of foreign influence. Despite all the evidence that Clinton broke the rules in effect when she took office, many Democrats will continue to defend her because of her name and gender. Some Democrats would continue to defend Clinton even if we had incontrovertible evidence that she kicks puppies and bar-b-que babies. While maybe exaggerating, it seems that there is no crime which will cause some Democrats to question Hillary Clinton–even if it is something they previously attacked Republicans for. So much for consistency or adherence to principle. Support for Clinton’s candidacy has dropped about 15 percentage points since mid-February among Democrats, with as few as 45 percent saying they would support her in the last week, according to a Reuters/Ipsos tracking poll. Support from Democrats likely to vote in the party nominating contests has dropped only slightly less, to a low in the mid-50s over the same period. Even Democrats who said they were not personally swayed one way or another by the email flap said that Clinton could fare worse because of it, if and when she launches her presidential campaign, a separate Reuters/Ipsos poll showed. The polling showed that nearly half of Democratic respondents – 46 percent – agreed there should be an independent review of all of Clinton’s emails to ensure she turned over everything that is work-related. The bigger problem is that while Democrats might stick with her and give her the nomination, by November 2016 a majority of the voters will have had enough of what could be a constant stream of revelations about Clinton. Giving Hillary Clinton the Democratic nomination increasingly looks like a death wish on the part of Democrats.